The United States recently became the 20th member of ReCAAP. In a little-noticed move, the United States joined the Regional Cooperation Agreement on Combating Piracy and Armed Robbery Against Ships in Asia (ReCAAP) in late September. The move is consistent with the strategic thinking driving the United States’ “pivot” to Asia. The move also comes amid reports that piracy in the South China Sea is increasing. A third of the world’s shipping traffic moves through the strategically important Strait of Malacca and Singapore Strait which have become hotspots for maritime piracy. This traffic includes almost the entirety of the crude oil that East Asian states import from the Middle East. “U.S. membership in ReCAAP will enable us to support multilateral cooperation in addressing the common threat of piracy and robbery against ships in the region’s critical sea lanes and waters,” said a U.S. State Department official. According to IHS Jane’s 360, the “Assistant Commandant for Prevention Policy of the US Coast Guard, Rear Admiral Paul F Thomas has been appointed as the ReCAAP Information Sharing Centre (ISC) governor for the United States.” The United States first stated its intention to join ReCAAP in 2012. By joining ReCAAP, the United States could bring a wealth of know-how and capacity to fighting piracy in Southeast Asia. The United States and its European allies have been remarkably successful in their fight against piracy off the Horn of Africa. ReCAAP, as The Diplomat explained last year, is a low-profile Asian multilateral institution focused on maritime security and preserving the security of vital sea lanes from piracy. It isn’t a military organization or a competitor with other regional organizations like ASEAN, the SCO, or SAARC — it is simply a grouping of states with a narrow mandate on anti-piracy and maritime security. 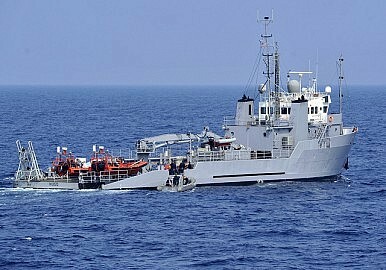 ReCAAP’s founding was made necessary in part by a surge in maritime piracy following the 1997 Asian Financial Crisis. As per the ReCAAP agreement, which was concluded in November 2004. ReCAAP was formally launched in 2006 and its current members include China, India, Japan, South Korea and Australia among others. Notably, Indonesia and Malaysia are not members of ReCAAP, despite their geographic proximity to pirate incidents in Southeast Asia. Countries outside the Asia-Pacific are also participants in the organization, including the United Kingdom, the Netherlands, Denmark and Norway. The United States is now the 20th member of ReCAAP.